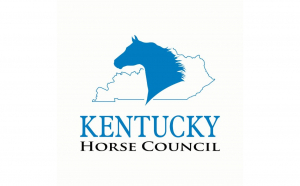 With so many people participating and watching events such as Retired Racehorse Project (a Dinsmore client), Thoroughbred Makeover, and the Mustang Makeover, KENA will feature a panel of participants in those events. Emily Brollier Curtis, Dinsmore client Dan James, and Dr. Fernanda Camargo, DVM, Ph.D. will make up the panel. Ms. Curtis is a Grand Prix level dressage rider and trainer through her Miramonte Equine and has a talent for restarting off the track thoroughbreds. She has competed at the Retired Racehorse Project Thoroughbred Makeover in the dressage division. Mr. James, of Double Dan Horsemanship, is a world-renowned equine entertainer, educator, and competitor. He started retraining off the track thoroughbreds early in his career as an eventer and has participated and finished as a Top 5 Finalist in the Mustang Millionaire, in addition to being invited to participate in the upcoming Rodeo Bucking Horse Makeover. In addition to his own success with makeover horses, Mr. James has coached numerous makeover horse Top 5 Finalists, including Mustang Makeover Winners and TB Makeover Winners. Dr. Camargo is a professor at the University of Kentucky in the Ag Equine Program as well as an extension specialist and 4H advisor, will discuss the management of makeover horses, starting with assessing their initial needs, including feeding, shoeing and more. The February 19 dinner is presented by Dinsmore & Shohl LLP’s Equine Law Group. Dinsmore & Shohl is a full-service law firm with offices in twenty-three cities throughout eleven states and the District of Columbia, including Kentucky offices in Lexington, Frankfort, Louisville and Covington. The Dinsmore Equine Law Group is a generous supporter of the KENA dinner series.